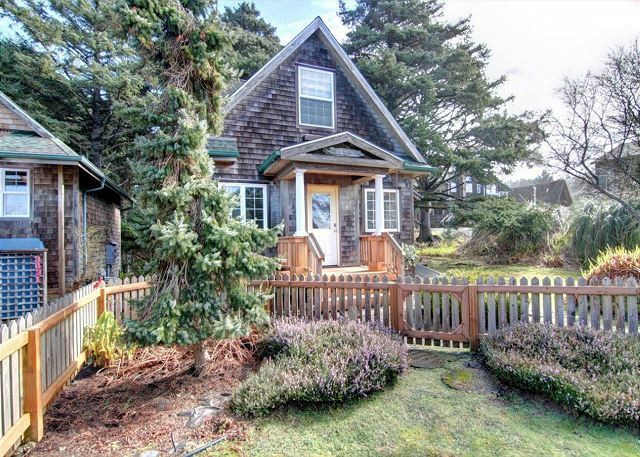 Bunburry-By-The-Sea offers the classic cottage by the sea experience, a touch of nostalgia tucked into tidy coziness only one block from the beach. 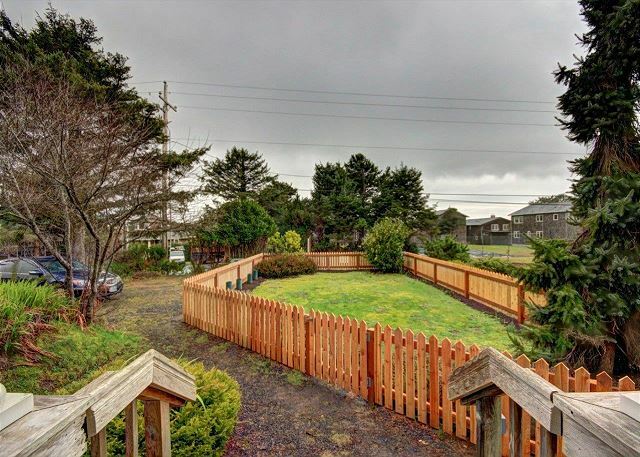 The picketed front yard (ideal for toddlers or pet) draws you up onto the porch and into the warm, yet light and open front room. 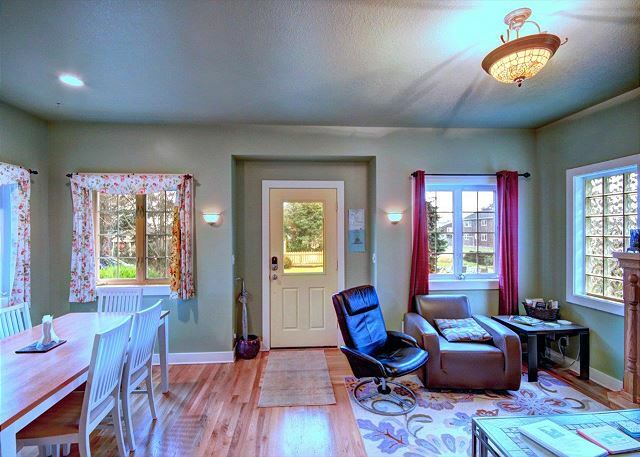 To the left, the living area invites relaxation around a gas fireplace, while the dining area and kitchen flow together for roomy gatherings around a farm-style table. 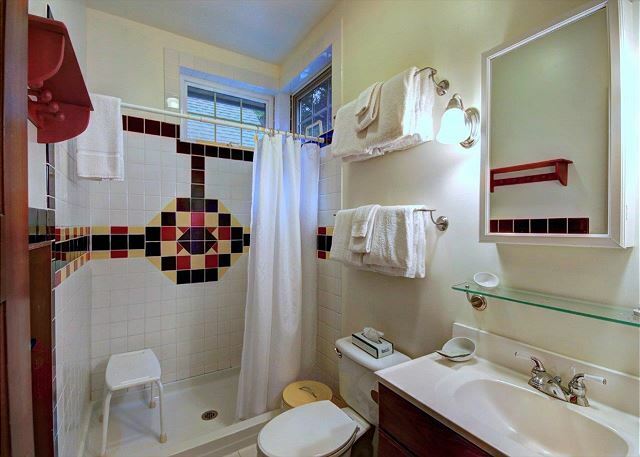 Beyond the kitchen lies a bedroom with a Queen bed, and an art-deco styled bathroom with walk-in shower. 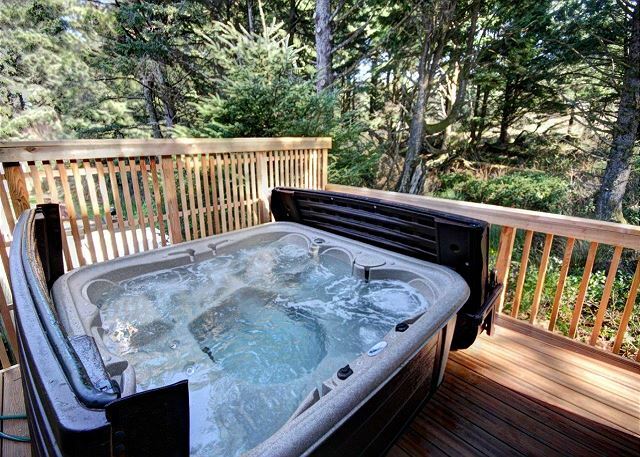 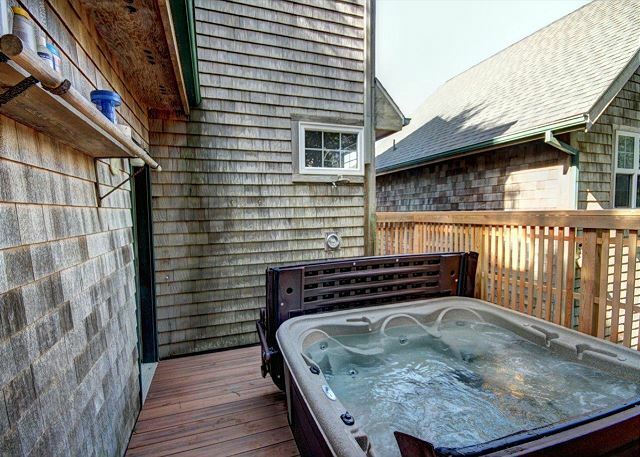 Private access to the decked hot tub is from this bedroom. 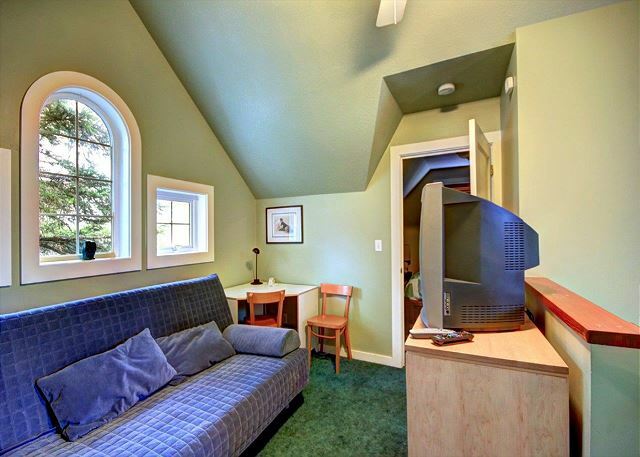 Upstairs a cozy TV room with a futon and desk area await. 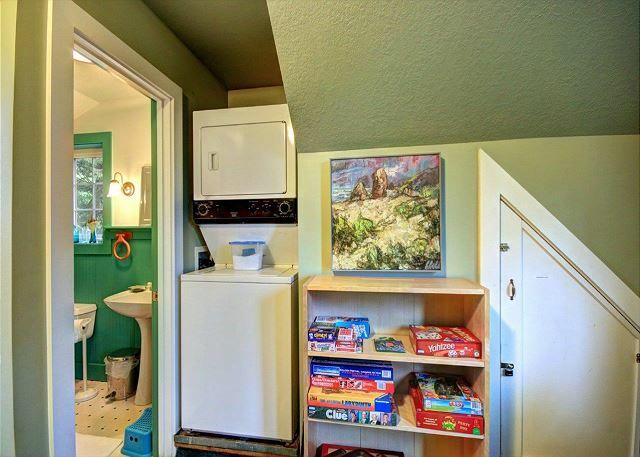 A stackable washer/dry are conveniently located off of the second bathroom, which features beachy bead-board and a claw foot tub. 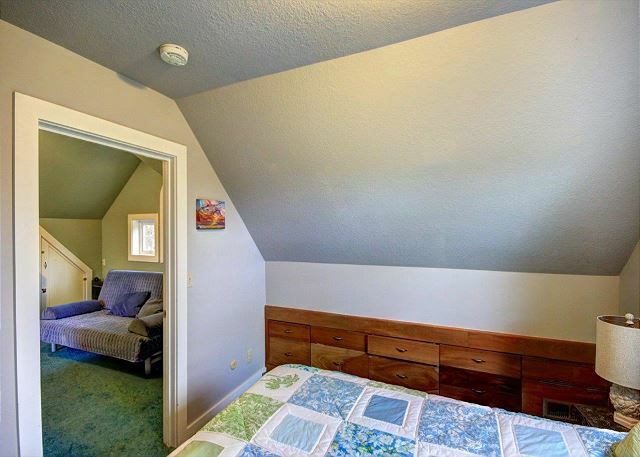 The second bedroom with a Queen bed sits to other side of the TV room. 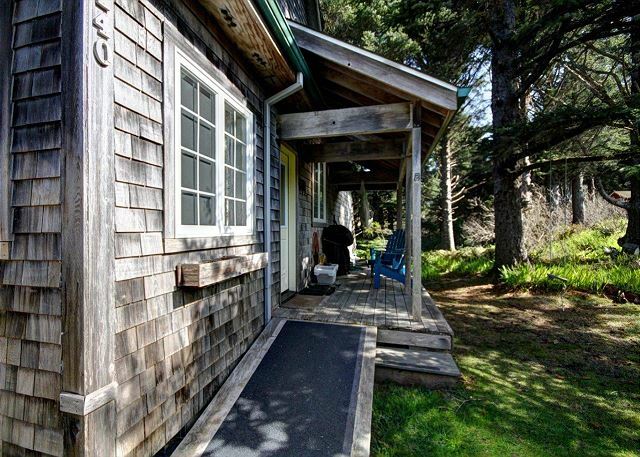 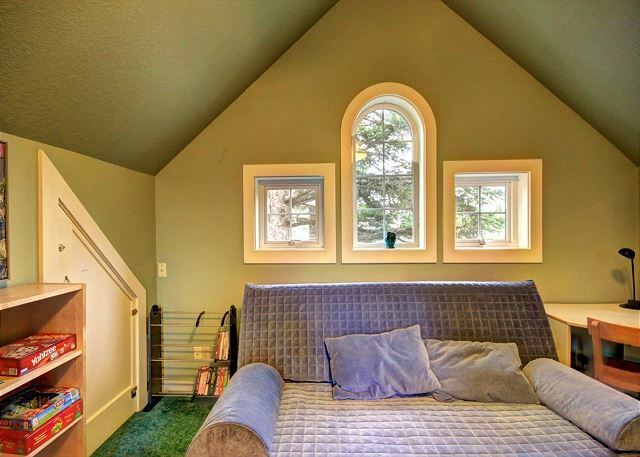 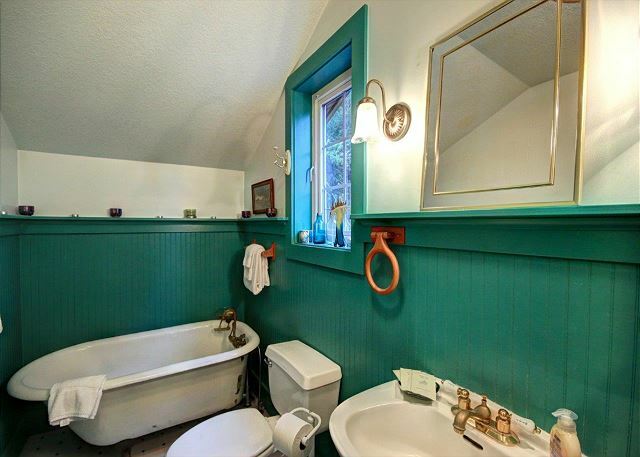 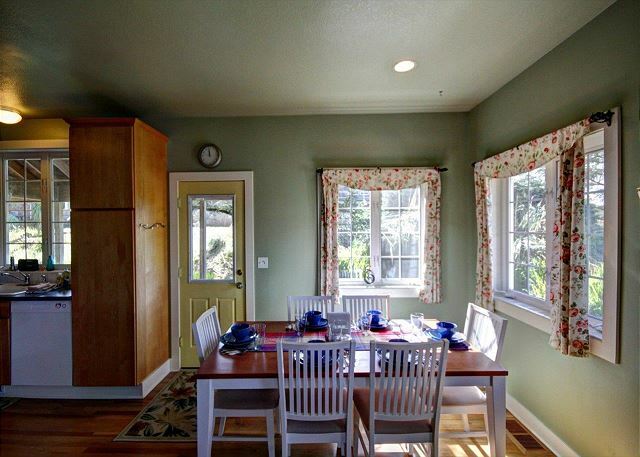 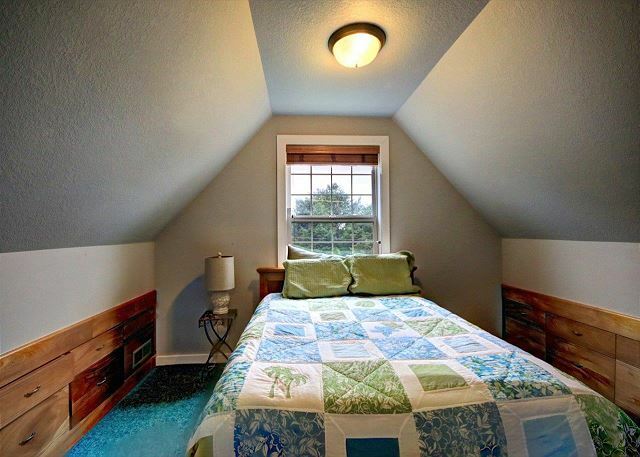 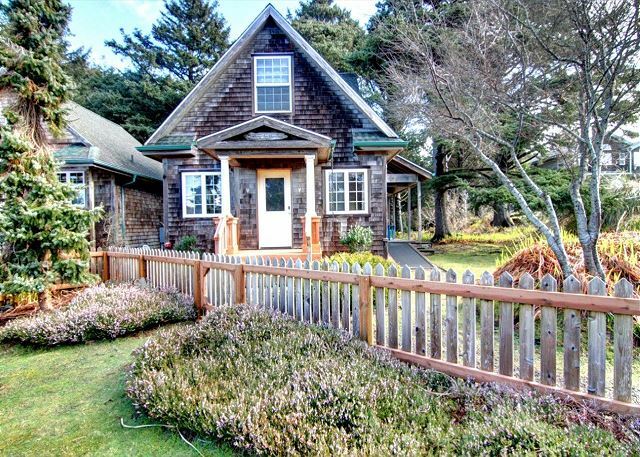 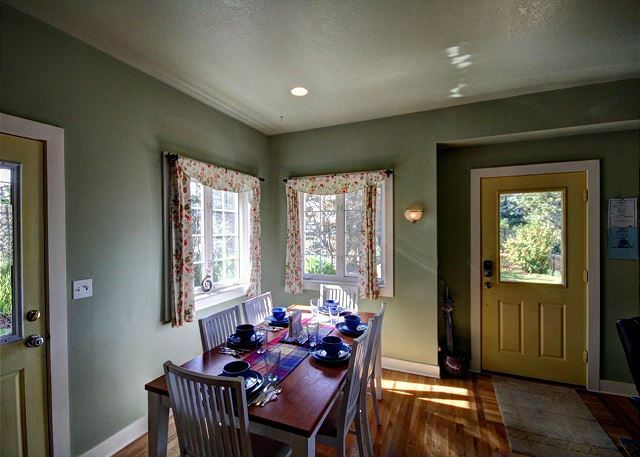 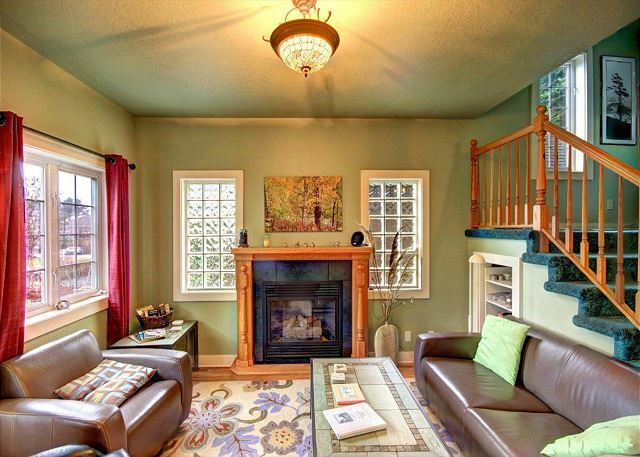 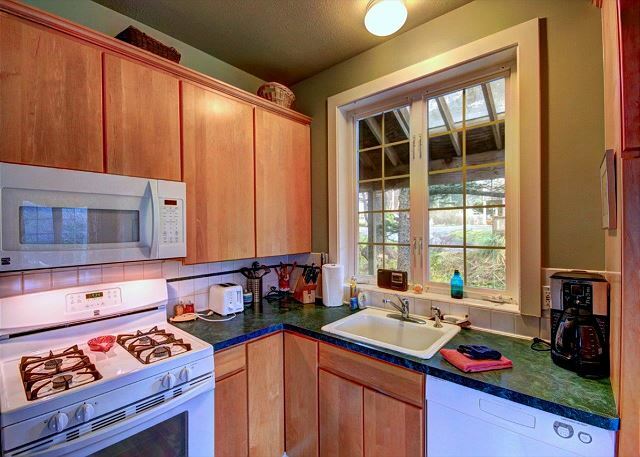 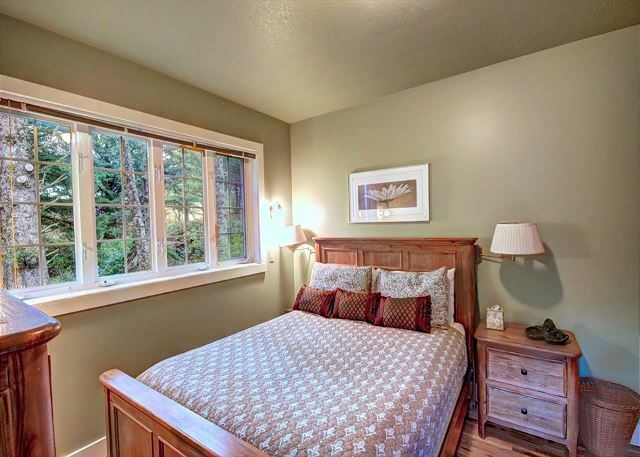 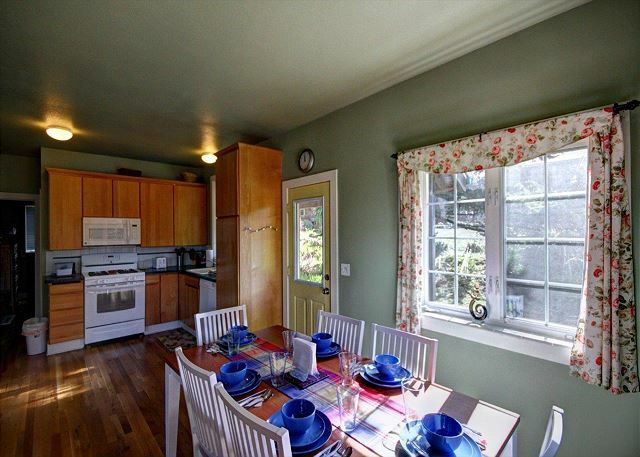 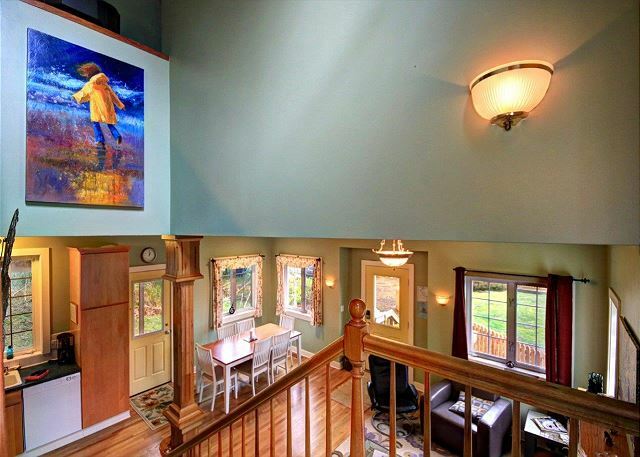 With plenty of windows and high ceilings this cottage is both - openly comfortable and cozy. 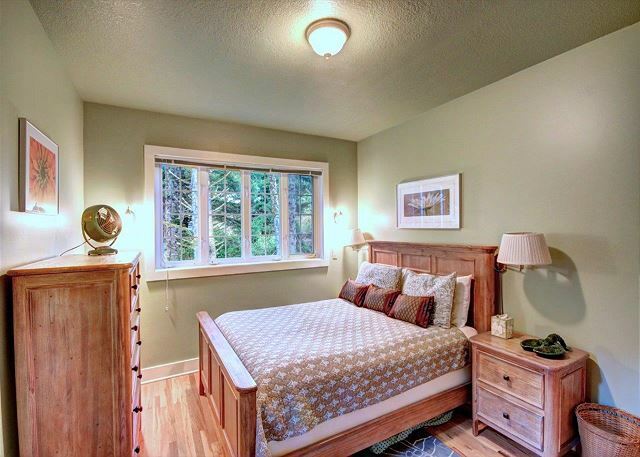 No smoking, pet friendly, 7 night minimum stay required during summer months. 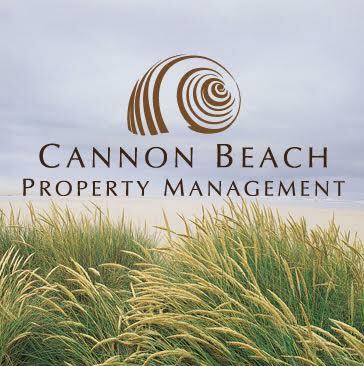 You are now being connected directly Cannon Beach Property Management who is responsible for this property.